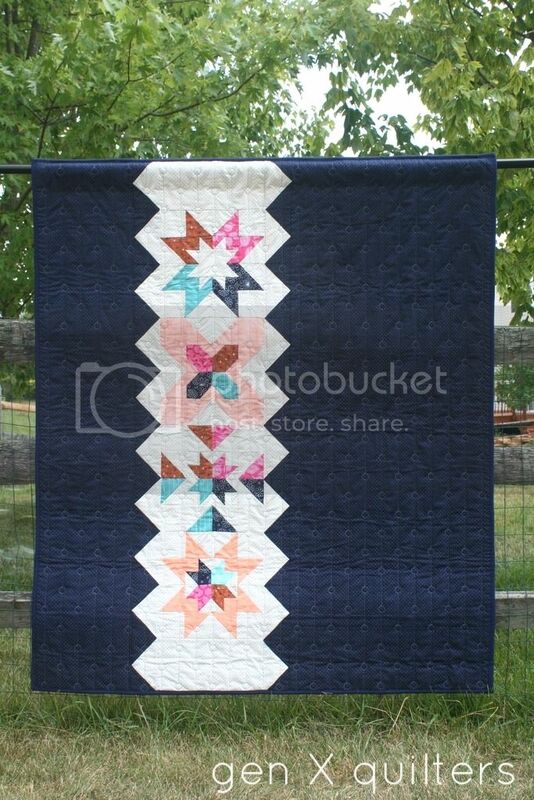 I was thrilled when Pat Sloan and Jane Davidson invited me to design a block for the follow up book their wildly successful book, The Splendid Sampler. 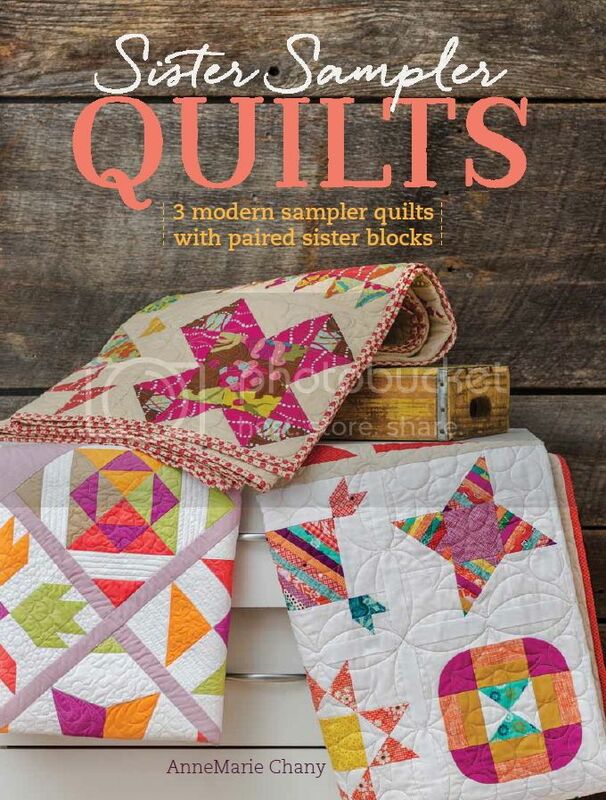 The second volume (The Splendid Sampler 2) will include another 100 blocks from 80 designers and will be available in mid-October. 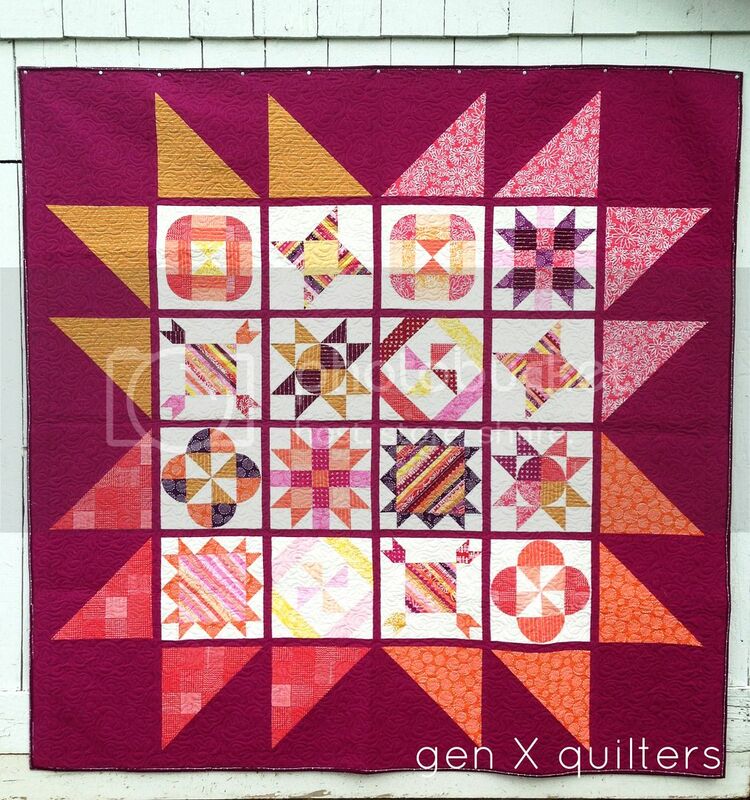 Oh my gosh, it's the final post for the Bonfire Block of the Month Club 2016. Every year we complete one of these journeys, it seems like a wonderful experience. How can each year get better and better? And what a year it's been. 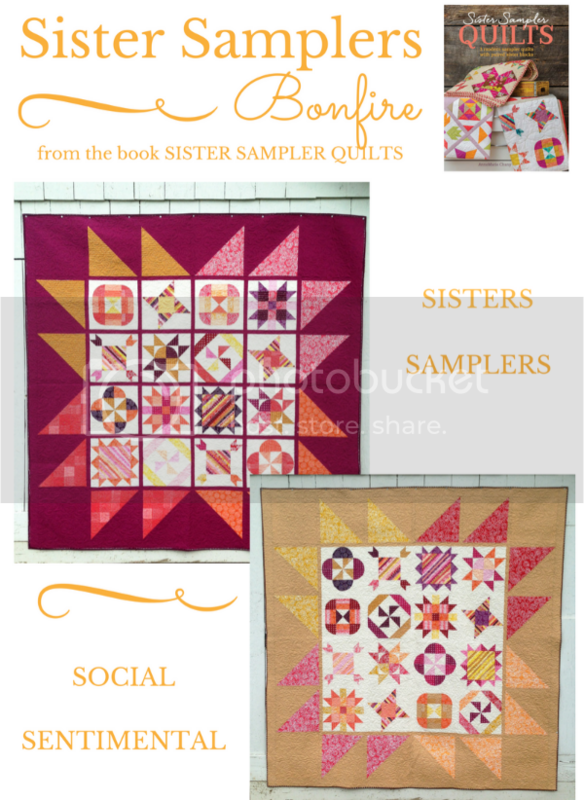 The Bonfire Sampler is a part of my first book, Sister Sampler Quilts. And to run a BOM from my own book, well.... that's seriously a dream come true. Thank you all for your love and support of the book this year. 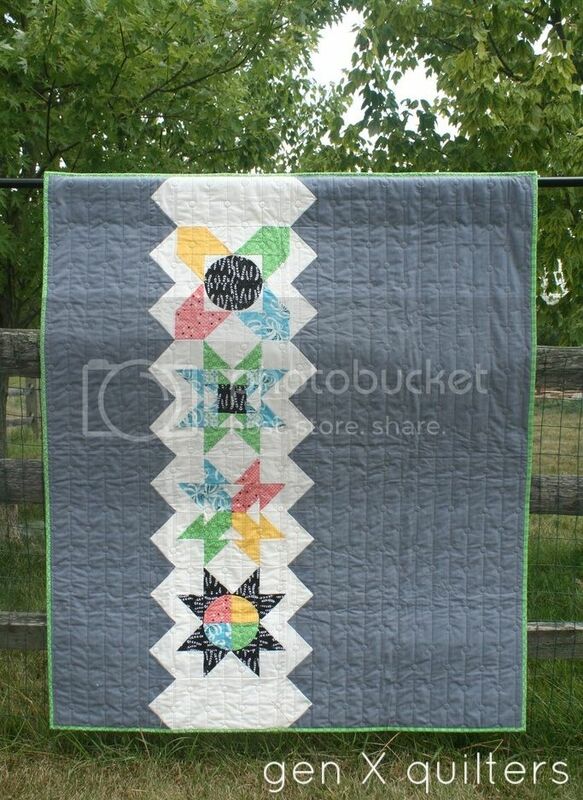 I have not one, but two quilt finishes to show you today. 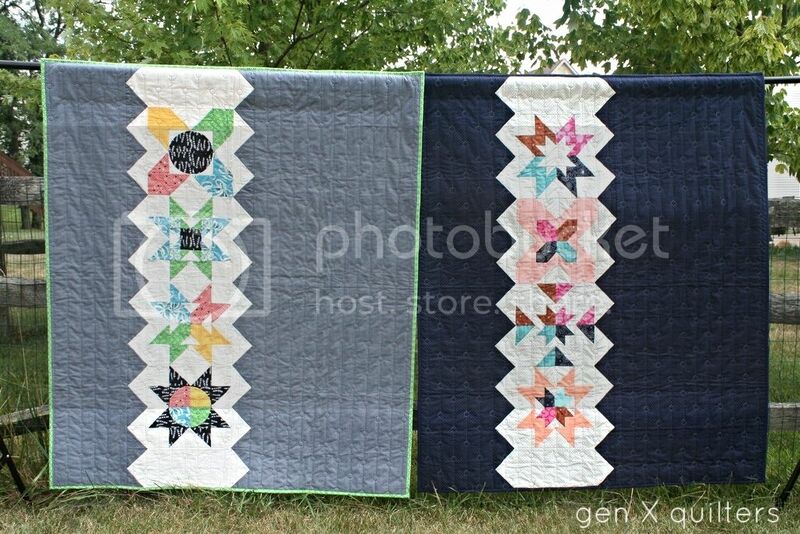 Those of you who have been following along with the BOM know how special these two quilts are. 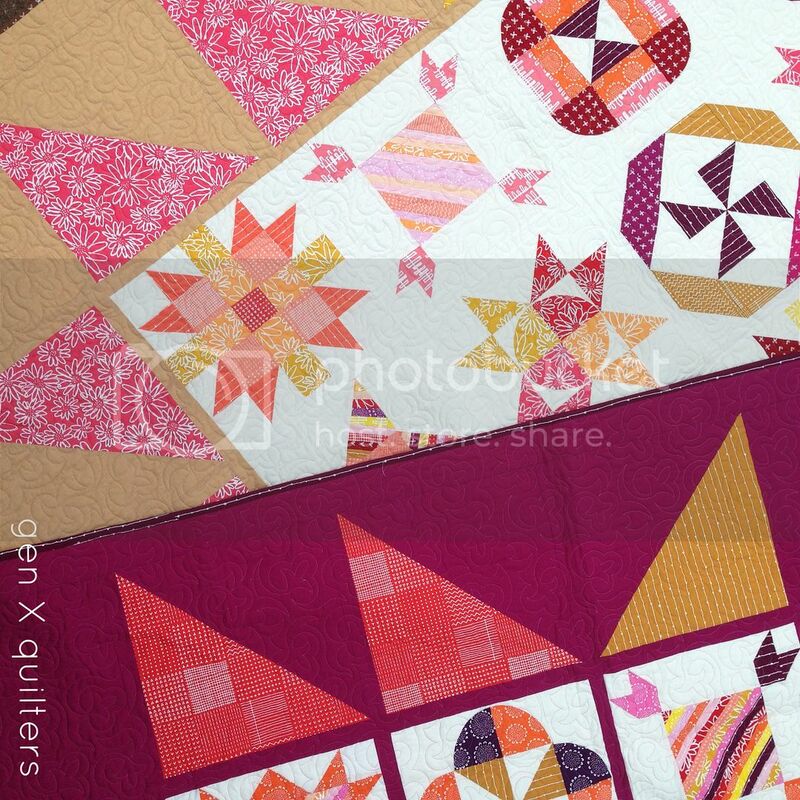 We both worked from a fat quarter bundle of Blueberry Park (warm colors) by Karen Lewis for Robert Kaufman Fabrics. 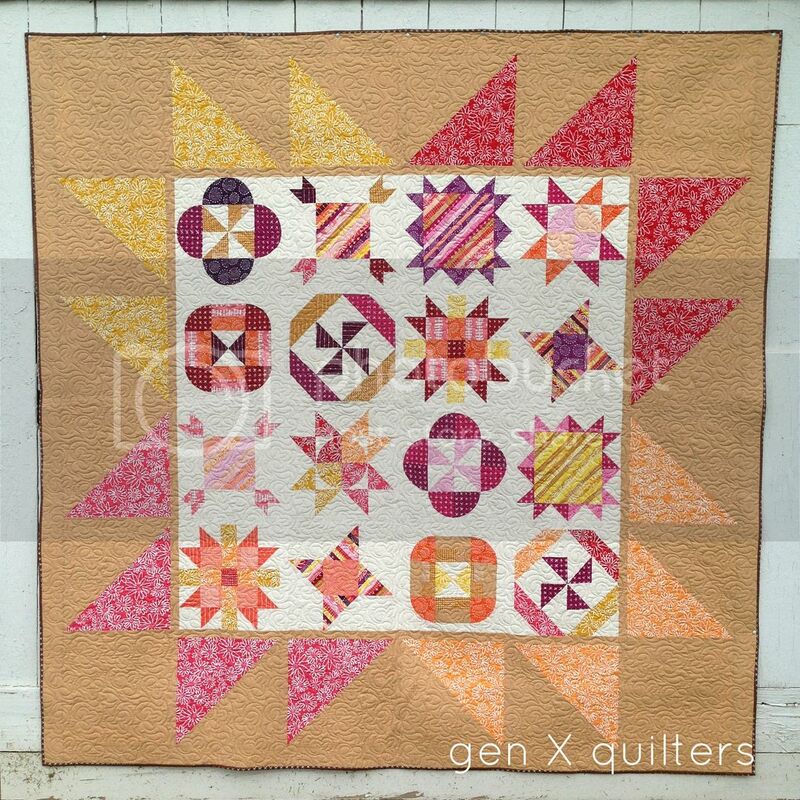 The blocks use Kona Snow as their background, and I framed up the whole quilt using Kona Cerise. 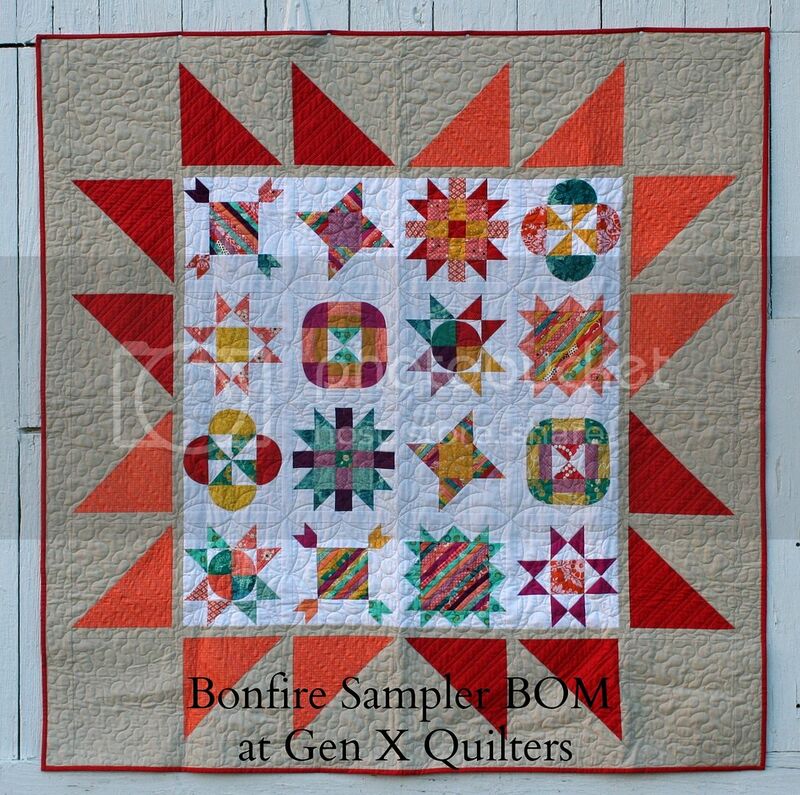 It's definitely a different look from the original Bonfire quilt found in the book. There is a picture of the original Bonfire at the end of this post if you don't remember what it looks like. Although our BOM is now officially over, it's never too late to start this project on your own or with a friend. 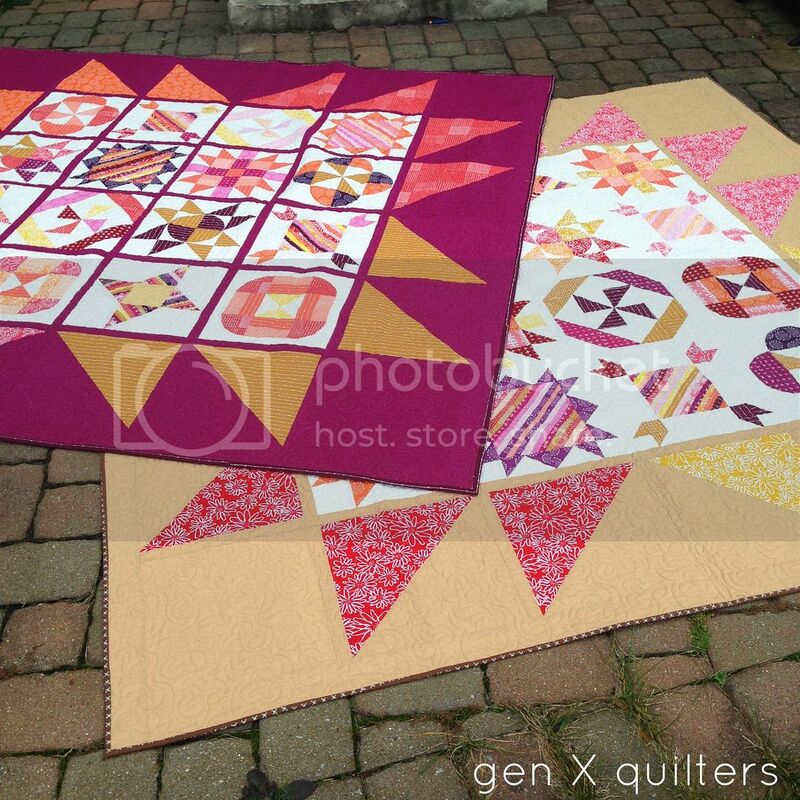 You can read all the details of how we worked this project here.